In today's post you'll read about some alternative ganking: Thrashers killing autopiloters and Vexors killing (primarily) miners. This post will be added to the Gank page. The older Gank posts guide the ganker-aspirant step-by-step with great thoroughness. Today's post is a bit different: It's merely food for thought, and can hopefully be used by gankers to come up with their own ideas. The first section is based on my response to the many inquiries I've received about how Thrasher pilots gank autopiloters. The second section is written by Agent Sabriz Adoudel, who has been developing ideas for Vexor-powered ganks. How do Thrasher pilots hunt down autopiloters? It's done in a manner quite unlike miner ganking, which generally requires scouts, scans, warp-ins, etc. In fact, the autopilot hunter is a very rare example of truly solo PvP: One character on one account. I won't provide an exact fitting for this, though you can use the D400 Thrasher as one example. Your fit will depend heavily on your fitting skills. But the basic principle is to fit a rack of named 250mm artillery guns and as much of a shield tank as you can. The Thrasher is preferred over the Catalyst because the Thrasher has extra midslots. There are many ways to fit an artillery Thrasher, so be creative. The goal is to be able to withstand about 9 seconds of sentry gun fire, so you can one-volley a ship and have enough time to kill the pod. Locate some high-traffic systems where you suspect illegal autopiloting is going on. Then simply warp to zero at the most popular stargates, back-and-forth in the same system. Don't jump through the gates if you don't have to; simply warp to them at zero, wait a few seconds to see if any targets appear, and if not, warp to another gate. Everyone can attack you, but most will ignore you. If someone warp disrupts you, then you can jump through the gate to the other side--they can't follow you because they're flagged for aggression for a short time, preventing them from jumping after you. You'll be able to identify the autopiloters easily because they'll land at a distance of about 15km from the gate instead of on top of it. The goal is to kill pods, since their implants are where the money is. Primary targets are shuttles, rookie ships, and naked pods. You should generally be able to kill a shuttle or rookie ship with one volley and then kill the pod with the other volley. Pictured above: Unskilled and skilled shuttles; a Capsule whose pilot has Navigation IV. Rookie ships are trickier to gauge. The four rookie ships have different base speeds, but more importantly, they take a long time to accelerate to their top speed. When training skills for an artillery Thrasher, consider your need for fitting skills, the basic EHP skills (for shield, armor, and hull), skills for increasing your guns' range, damage, and rate of fire, and Signature Analysis for targeting pods more quickly. Unlike nullsec, which is full of empty pods, highsec dwellers often put more money into implants than ships. Still, keep your Thrasher fit affordable, as you can just as easily kill an empty pod as a billion isk one. Side Note: Autopiloting industrial ships can be killed with the heartier version of the same concept: The D400 Moa, which uses medium railguns. The Vexor is, quite simply, the highest DPS that you can get out of a cruiser-sized ship, and it applies this damage exceptionally well at either point-blank range, or at meta warp disruptor range (~15km). Whilst it's not as efficient as using more Catalysts when you measure it on an ISK expended to damage dealt metric, it lets solo Agents euthanize Mackinaws with two active resist% modules, and gives small groups of Agents more firepower than ever before for Skiff suppression. The Vexor is a skill intensive ship. While a Catalyst can be flown usefully with twelve hours of training and a tech 2 one can be flown very well within one month, the Vexor requires a lot more skills to be effective. As I engage in miner suppression activities on my main (who also pilots the Ishtar), I have all of the relevant skills already. However, I present below a 4-5 month training plan for an aspiring Vexor pilot. Weapon Upgrades 4 (2 days). WU 5 and Advanced Weapon Upgrades 3 will be needed to avoid having to use Genolution CA-1 and CA-2 implants for some fits, this adds 9 days. Thermodynamics 1 (unlike a Catalyst which requires a 3 here, 1 is sufficient for 19-22 second engagements in cruiser-sized ships. Cruiser modules are more resistant to damage than frigate ones). Prerequisites for Heavy Neutron Blasters II (Small Hybrid Weapons 3, Medium Hybrid Weapons 5, Medium Blaster Specialisation 1) 16 days. It is acceptable to hold off on these skills for a while and use meta 3 guns in the interim. Also, once you've trained Medium Blaster Spec 1, get it to 3 for 4% more damage for very few SP. Damage application support skills (Motion Prediction, etc) – Spend 1-2 days on these; if you do more than just gank with the character, these are worth investing more time into. Drones 5, Drone Interfacing 5 (ouch) – 30 days. DI 4 will do in the short term (10 days) but DI 5 is a huge DPS increase and well worth the extra 20 days. 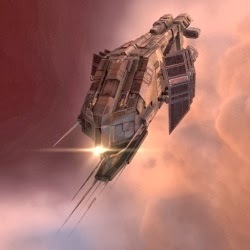 Amarr Drone Specialisation 4 (5 days) – This is the last skill on this list to train. Praetor IIs are bad in general but they actually do shine against Exhumers that fit tanks against Kinetic and Thermal damage and have a major EM resist hole. There are various other drone support skills worth training to level 3 or so. Gallente Cruiser 5 is the big one (25 days). Other skills are optional. A character trained in Vexor ganking is well placed to complete training as an Ishtar, Dominix or Slowcat pilot. 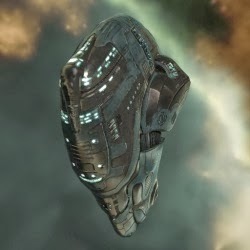 Pilots with good skills in these ships are highly sought after by various nullsec coalitions, and it is entirely possible that you can continue training the character until they are a slowcat pilot, then sell the character for significantly more than the cost of the PLEX you were using to dual-train the Vexor ganking character. If you wind up two or three billion ISK ahead, consider investing half your profit in the New Order as a shareholder. If you do this, repair your security status before selling and wait out any active killrights as these decrease the amount your character will sell for. (CCP expressly forbid selling a character without disclosing a negative sec status or killrights). Other than that, however, you should keep ganking with the Vexor alt as they continue to grow toward their longer-term goals. I present my primary fit here along with some tips. Feel free to modify as you see fit. Brawler Vexor (recommended engagement range 500-3500m). It is very important to land on top of your target, then start locking them, then launch your drones, then initiate combat with your blasters. Your drones will attack the blasters' target if set to “Aggressive”. This will give you the most possible time applying damage before CONCORD engage you and ruin your day. If you land way, way off by mistake, close to within 4km before aggressing the target. Better to leave the field with your ship intact than to fail your gank and be locked in station for 15 minutes mourning the one that got away. 4 Heavy Neutron Blaster II, each loaded with 15 charges Void M.
3 Prototype Sensor Booster, each loaded with a Scan Resolution Script. This gets your lock time down to 1100ms on a Mackinaw, and 2600ms on a capsule. With the way stacking penalties work, this is the optimal setup here. 4/1 is not even close. Due to stacking penalties (these are stacking penalized with MagStabs and so only give 57% of the stated bonus, so +5.7%) these add little. But they are better than nothing. If you have intel on the fits being used by the target and you know they are heavily tanked against Thermic damage, replace the drones with Amarr equivalents. Exhumers have awful EM resist holes. In extreme cases you might even swap your blasters out for another weapon system you have trained. Facpo are nastier in a Vexor than in a Catalyst. Do not fly into 0.8 or higher systems in a Vexor lightly if you are at an illegal security status for the system (-3.0 or lower for 0.8, -2.5 for 0.9, -2 for 1.0). If you need to transport ships through these systems often, improve your agility by putting lowslot DPS modules into cargo and replacing them with agility modules, then reversing these changes at a station in 0.5 to 0.7. Thanks for this, Supreme Protector, it's a real help to me and the others who were wondering! I've a bit of training to do, and a lot of flying to get it right. Game on! Thanks also, Sabriz; my main is highly drone-skilled, but alas, Amarr. This is waay outside my current skill-plan, but as our Saviour points out, provides delicious food for thought. Really great and useful Blog-Post. You can always crosstrain into Gallente Cruiser 5 - it will make you an excellent Stratios pilot as well as opening up the Vexor for ganking and the Ishtar for everything else. Meta 3 medium hybrids don't take too long to train to use acceptably and have a fair amount of skill overlap with your existing laser skills. Does the New Order reimburse thrashers lost while ganking? The reimbursement page only mentions cats. Thrashers will be reimbursed at the same rate as Cats. Very informative posts - thank you, James and Sabriz! I see D400 uses EM, thermic, and kinetic shield rigs. Do gate guns do omni-damage, or does damage type vary by empire? Gate guns do 56 EM, 56 EXP, 96 Therm, 96 Kin, per shot, and their damage type does not vary. Nice! A good old-school ganking mechanics article. I refer to these often when teaching newbros The Art of the Gank. Glad to see that we're still advancing the science of euthanizing the bot-aspirants. "In fact, the autopilot hunter is a very rare example of truly solo PvP" = fail. Dear Mr Anon 3:36...and you base this full and reasoned rebuttal argument based on... what exactly? Question re Thrasher Fit - from the killboard link it looks like the guns were set up in a group of 5 / group of 2 configuration - is this recommended as a way to one-shot the shuttle and then one-shot the pod?? The green mods are the ones that dropped in loot, so 5 guns dropped and 2 didn't. I imagine the guns were grouped together, one volley for the ship, second volley for the pod. Thanks - I'm just getting back in and I have a load of Minnie stuff laying about in stations everywhere. I'm figuring on setting up some gank alts with it and getting in on the fun. I see the minimum recommended gank alt training for Catalysts - nice analysis. Anything similiar for Thrashers / Minnie Gank Alts around here? I would appreciate if the error was corrected and the legitimate creator of the double- and tripple-volley thrasher was mentioned, instead of the one who took the original fitting and modified it. No offense, D.
Besides ... that fitting is seriously underpowered compared to the new versions. Thank you for updating latest jobs.It is very helpful for job seekers to get their desired job.Can you post any latest GIS Jobs in Hyderabad. FYI, any link to EVE-Kill.net is officially dead now, it tries to send you to malware/scams. Recommending updating them to some other site.